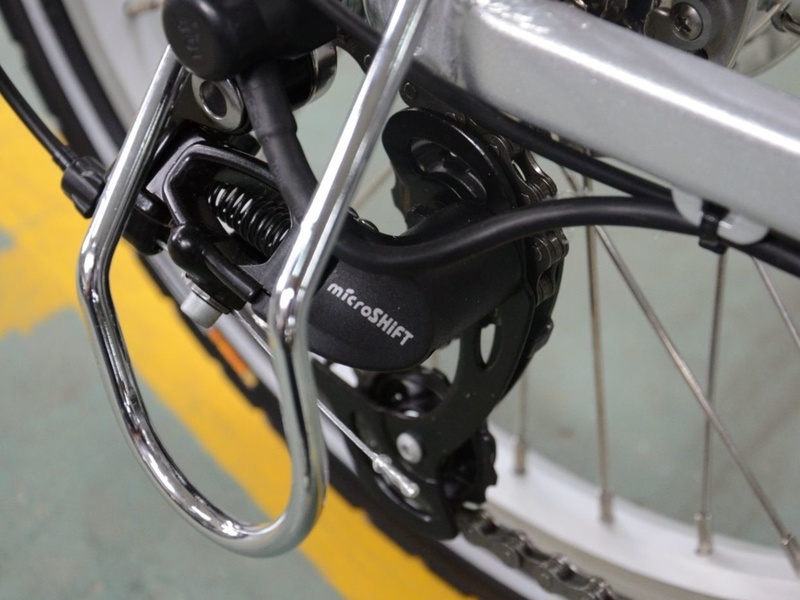 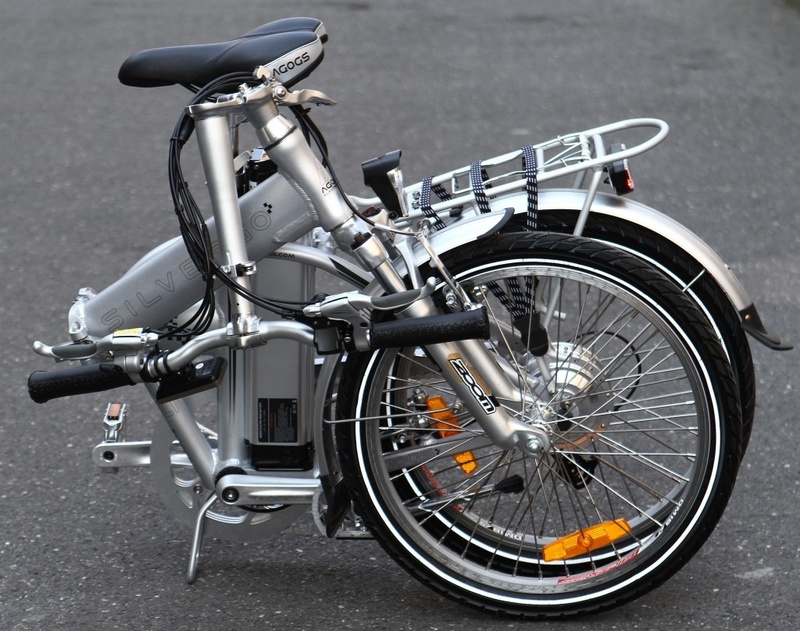 The legendary and the most-resistant folding electric bicycle with genuine accessories. 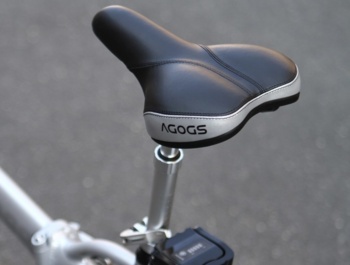 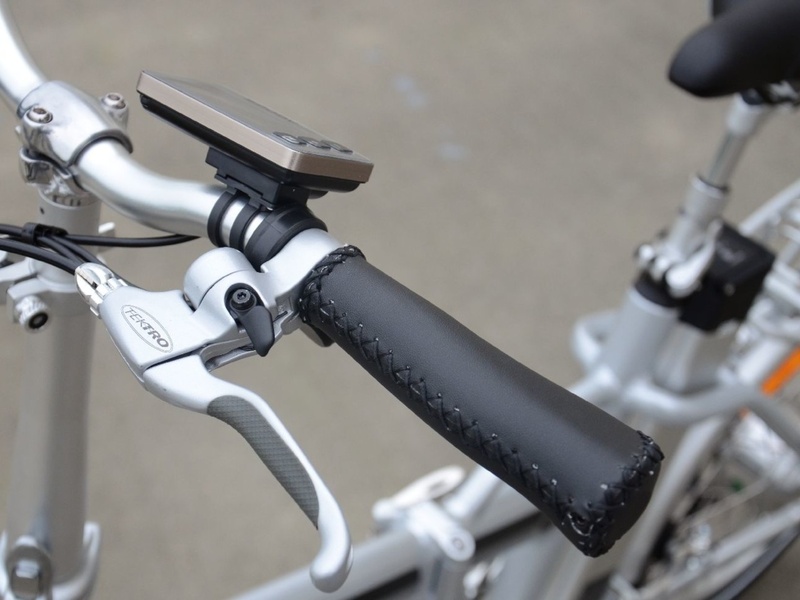 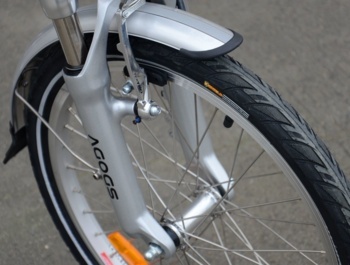 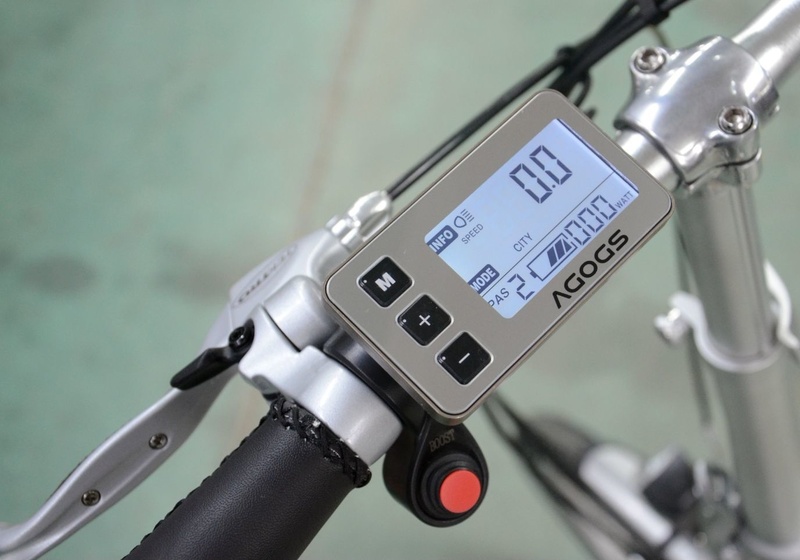 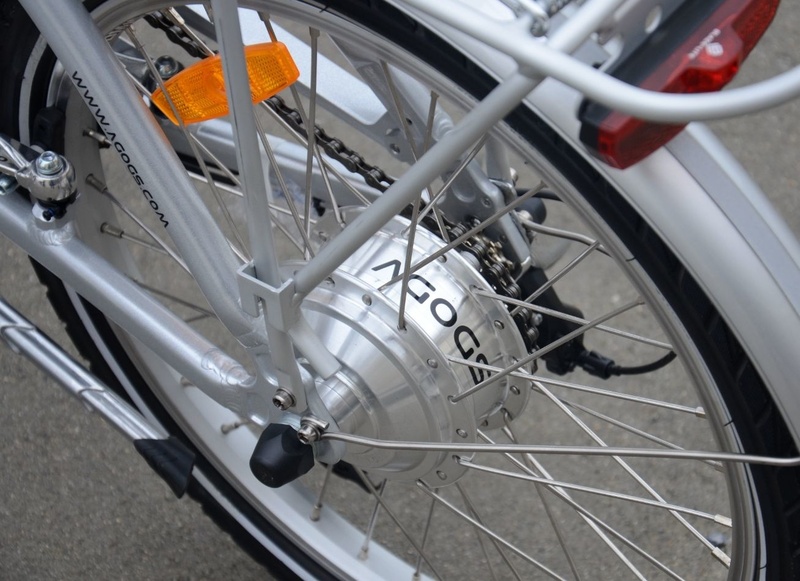 AGOGS SilverGo has been the best-selling model of folding e-bike on the Czech market since 2007. 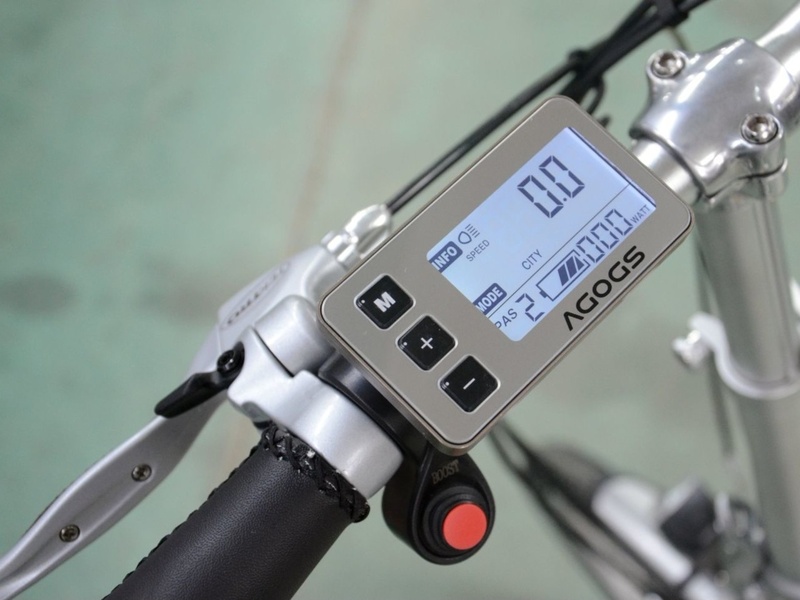 The SilverGo features a durable aluminum backlit display with 3-9 levels of assistance (specific driving characteristics can be individually set for each owner). 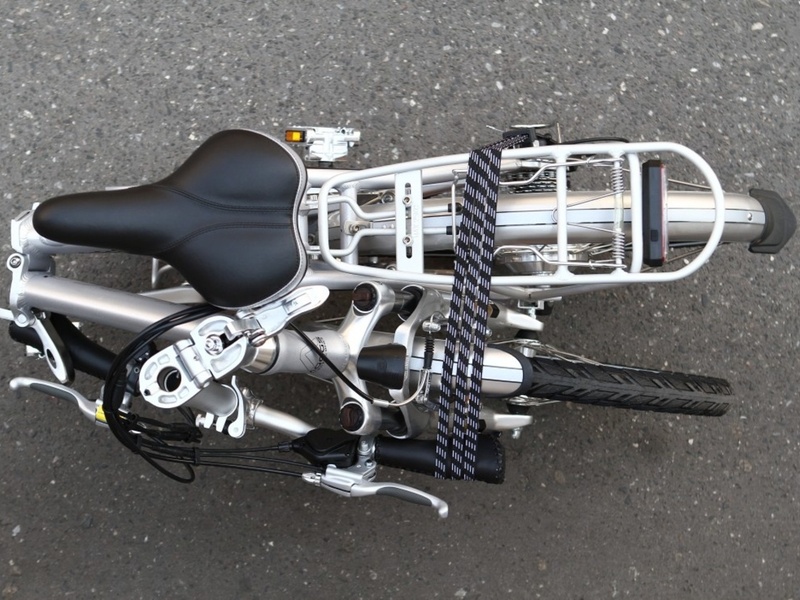 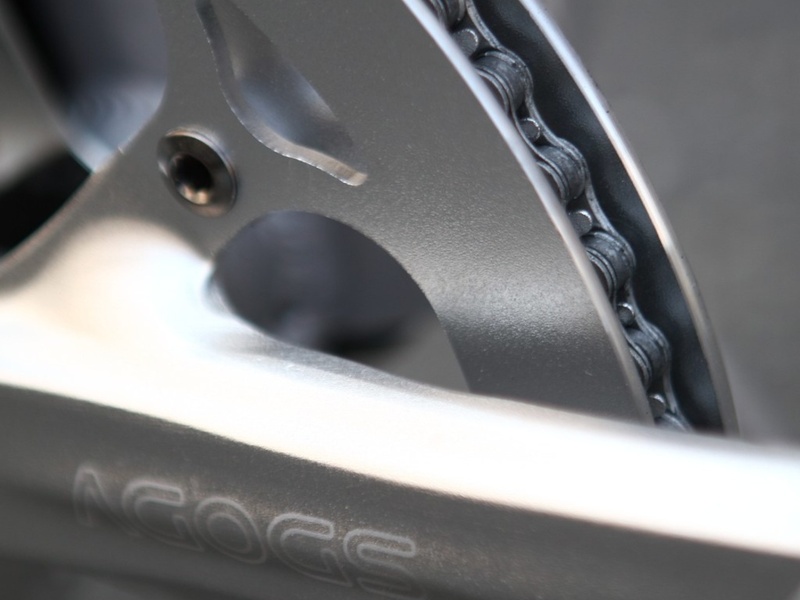 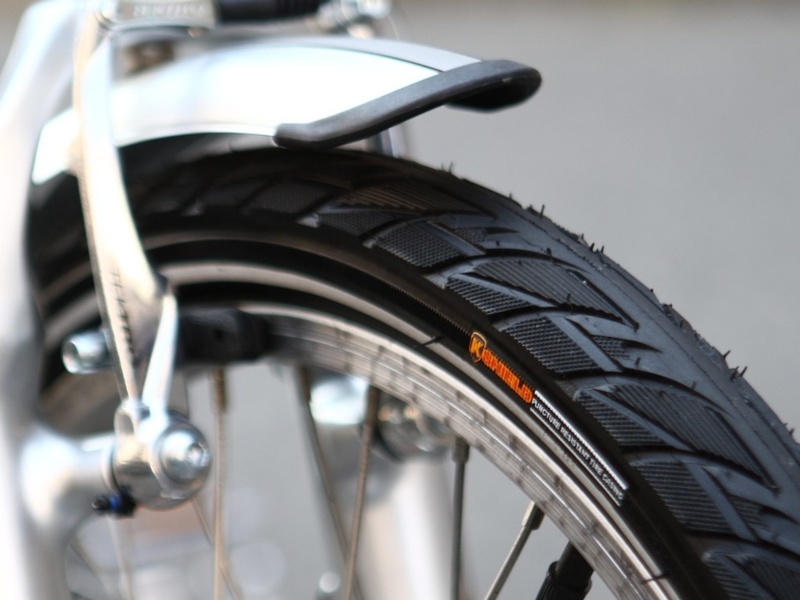 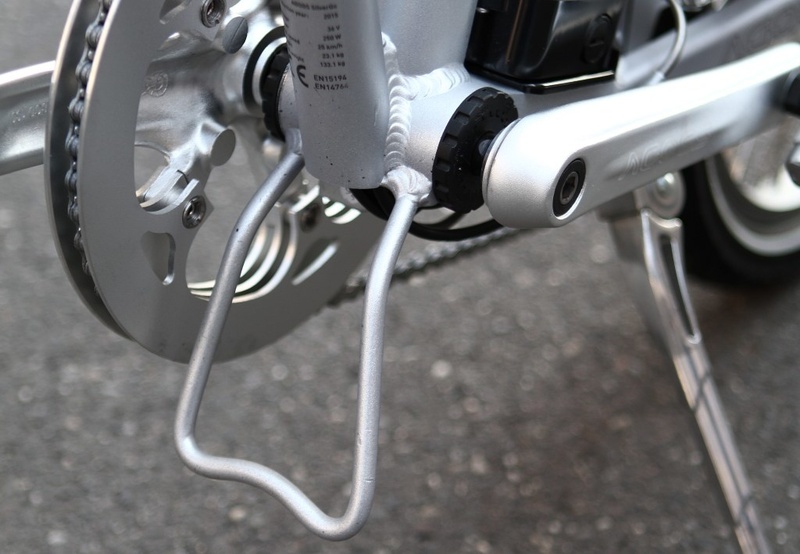 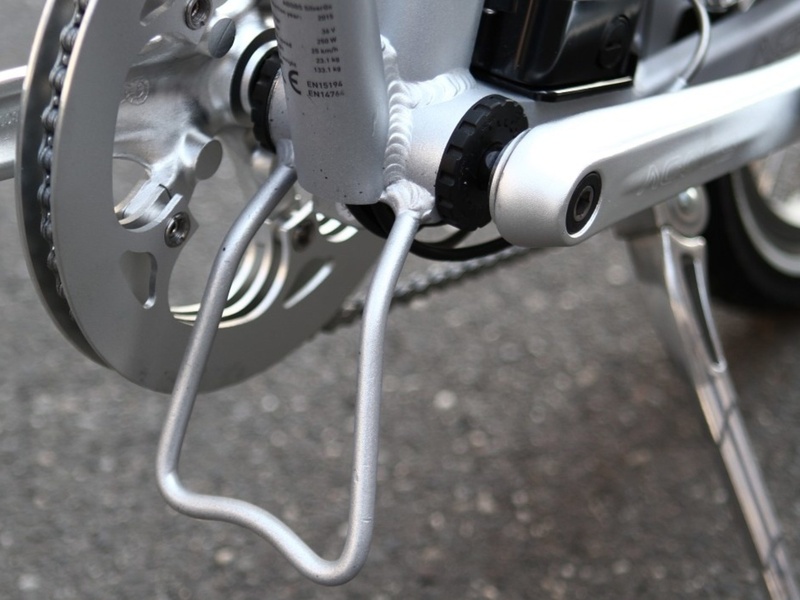 The design of the SilverGo electric bicycle is minimalistic but functional. Used aluminum frame sandblasting and paint layering ensures that the e-bike will look like new even after many months of use, with no visible scratches. 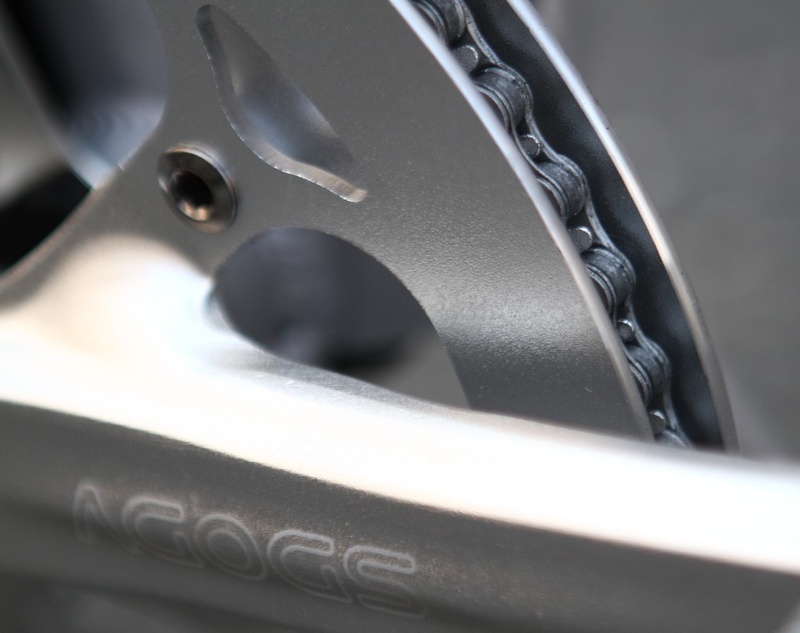 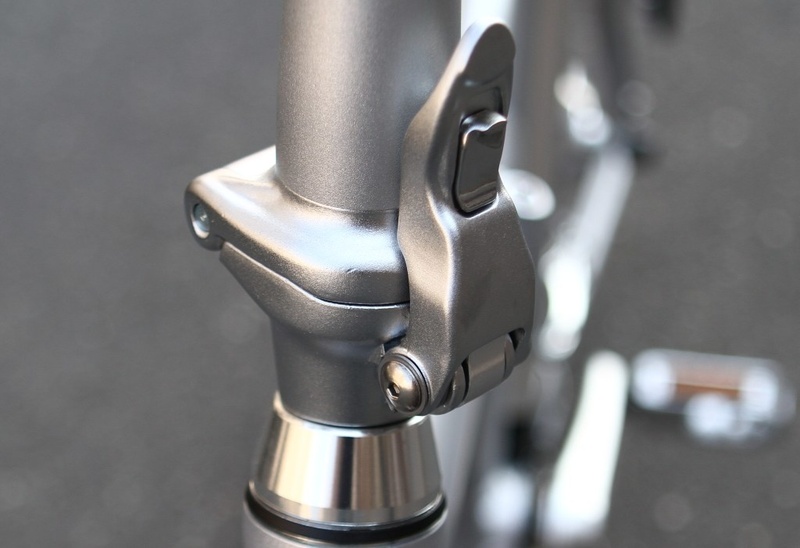 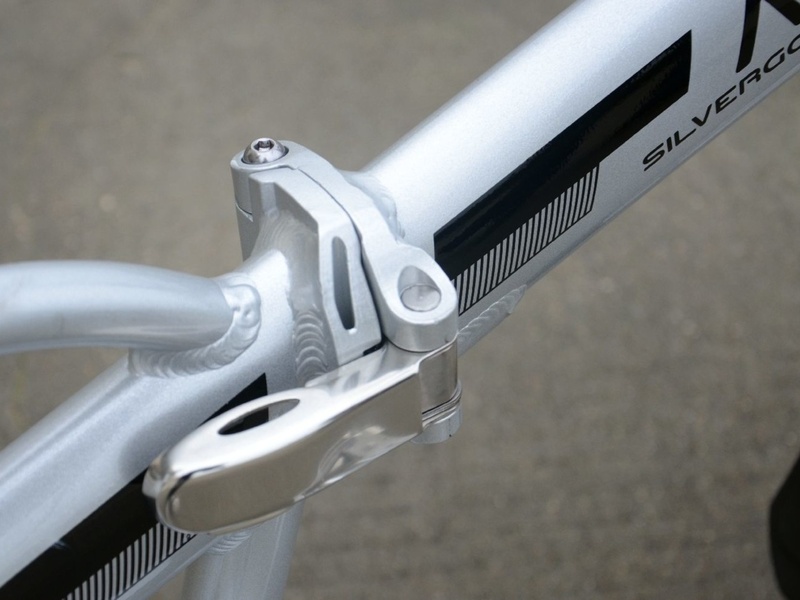 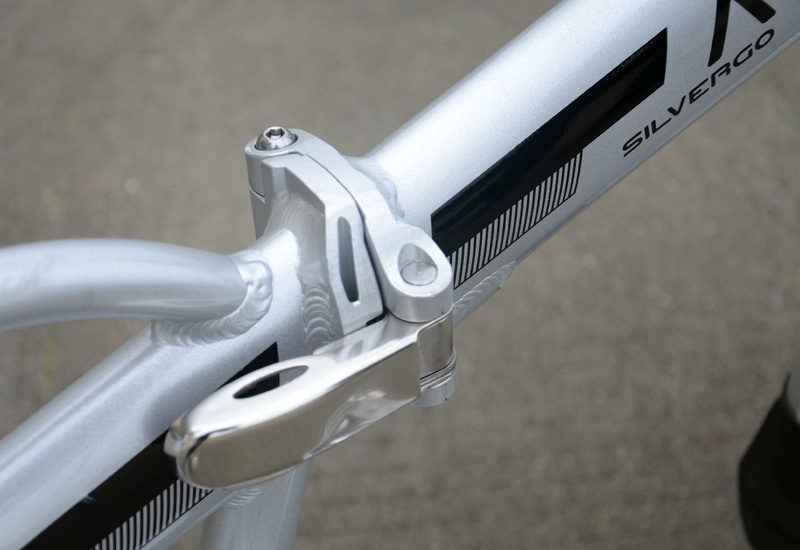 SilverGo has a reinforced frame with an increased weight limit of double saddle tube up to 115 kg and maximum of durable aluminum components - folding stem, chain guard, folding pedals, protection of the cabling in the frame and the frame locking with safety catch. 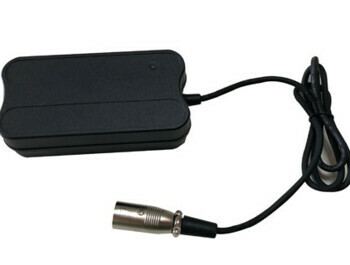 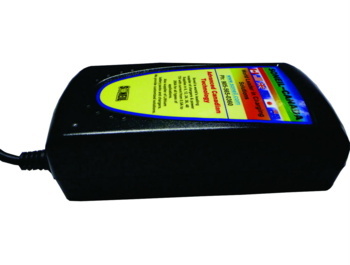 The control unit is integrated directly into the body and is completely protected. 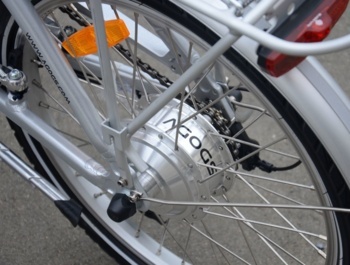 The heart of SilverGo is a 400Wh Li-Ion battery with Hi-poert Panasonic cells. 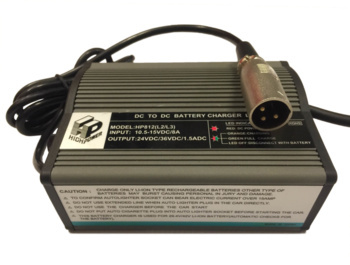 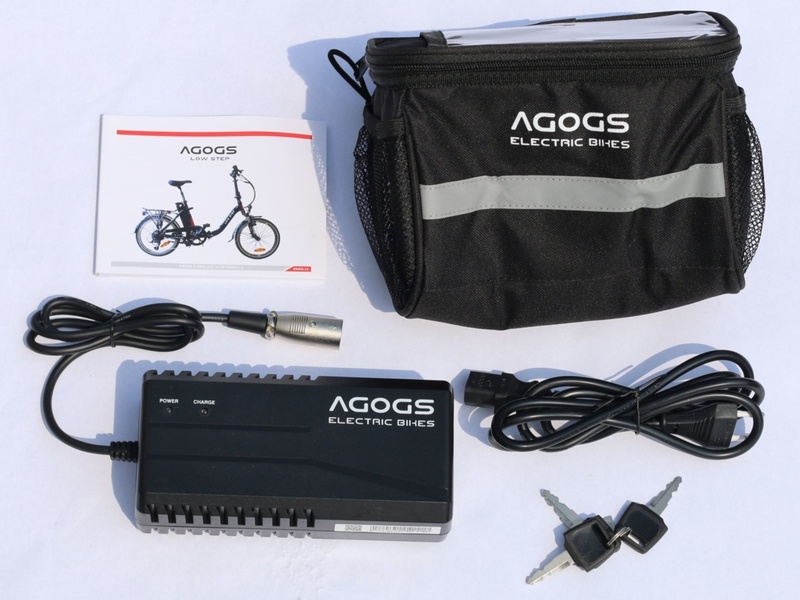 It is possible to get the e-bike with a capacity of 530Wh (14.5Ah / 36V) or 600Wh (16Ah / 36V) for an extra charge. 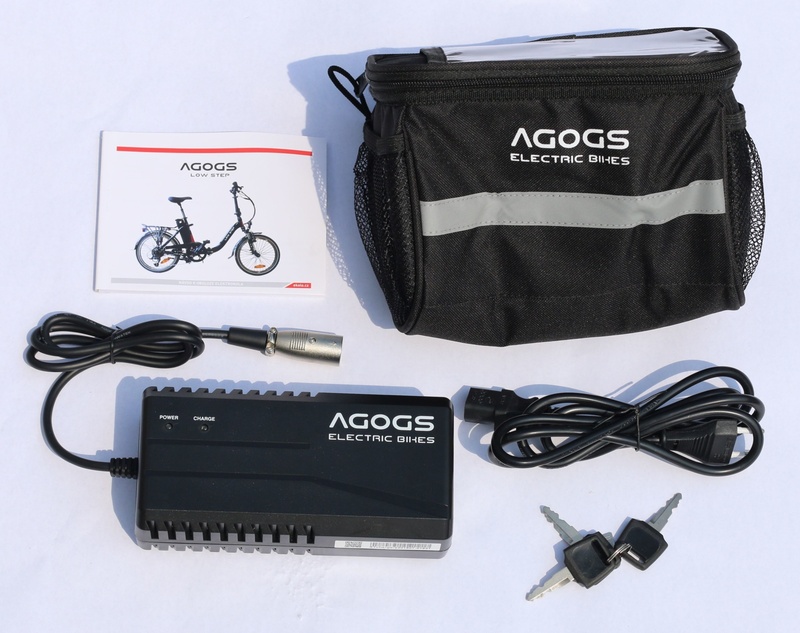 The SilverGo e-bike standardly comes with a 3A / 42V quick-charger, but you can get a 5A turbo charger for an extra charge. (It charges the battery up to 40% faster). 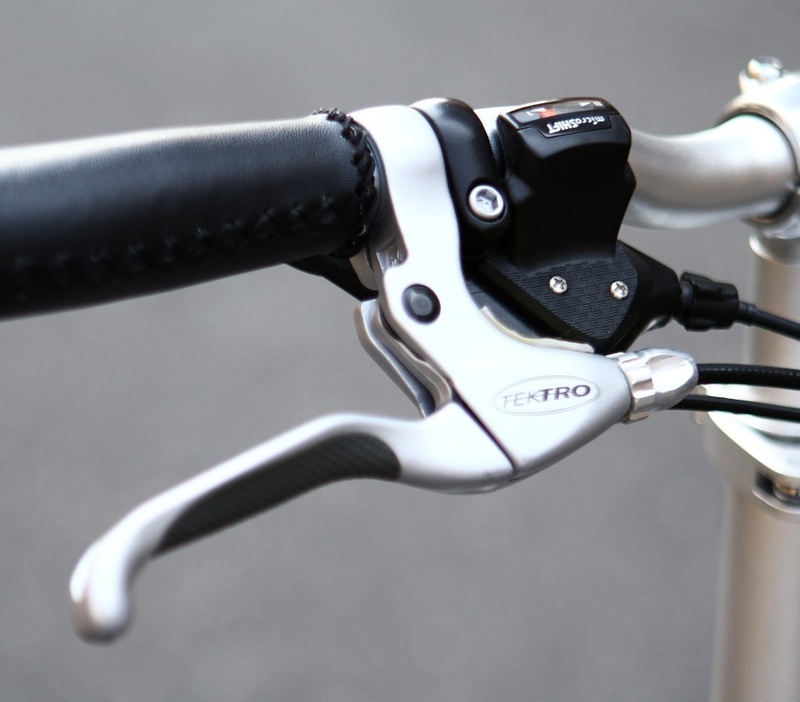 Just unfold it and go! With over 80 kilometers with standard 400Wh and up to 110km with XL batteries of assisted cycling it is ideal for adventurers, commuters, shoppers and visionaries. 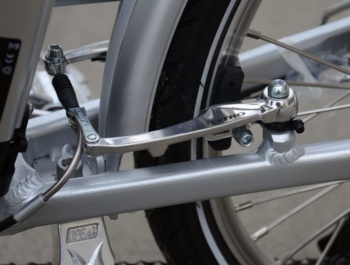 SilverGo is especially loved in the company fleets. 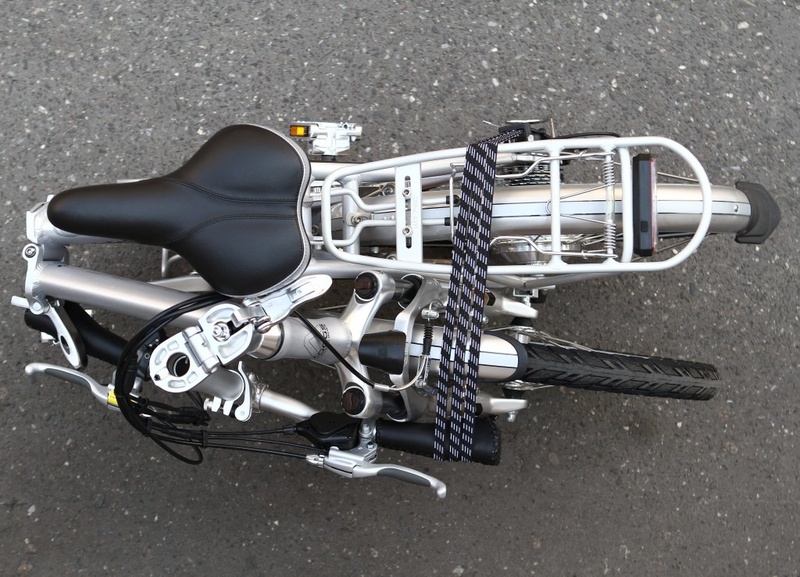 Enjoy the freedom of taking your bike wherever you go - in your car or public transport. 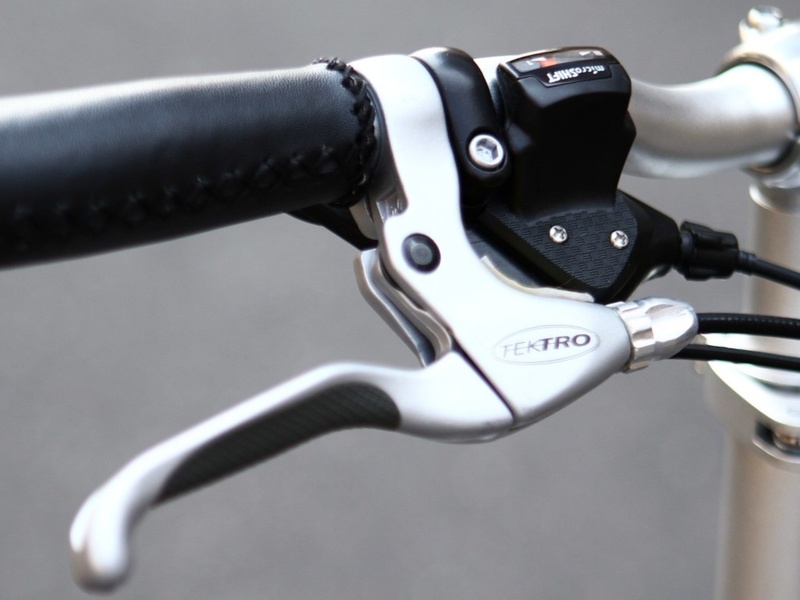 With the assisted pedaling there's no need to sweat even on the steepest hills. Ask your about additional equipment like AGOGS foldable transport bag or popular lockable trunk. 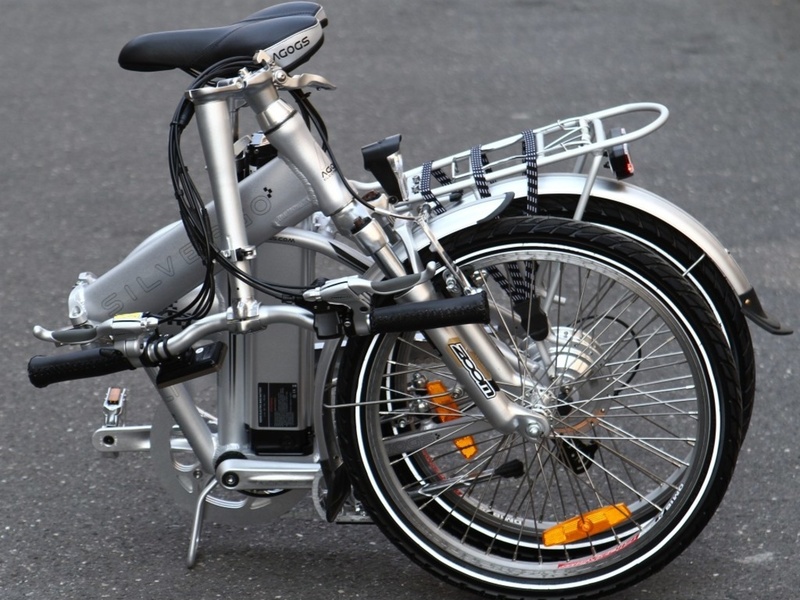 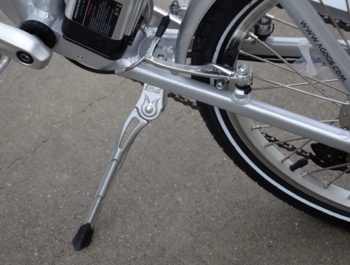 Dimensions of the SilverGo folded e-bike: width 90 cm, height 74, depth 40. The length of SilverGo ready to ride is 160 cm. 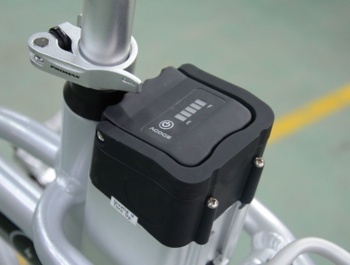 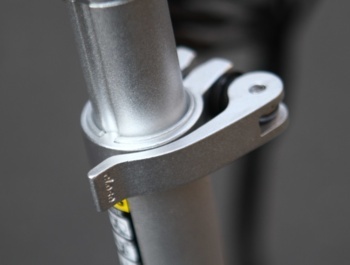 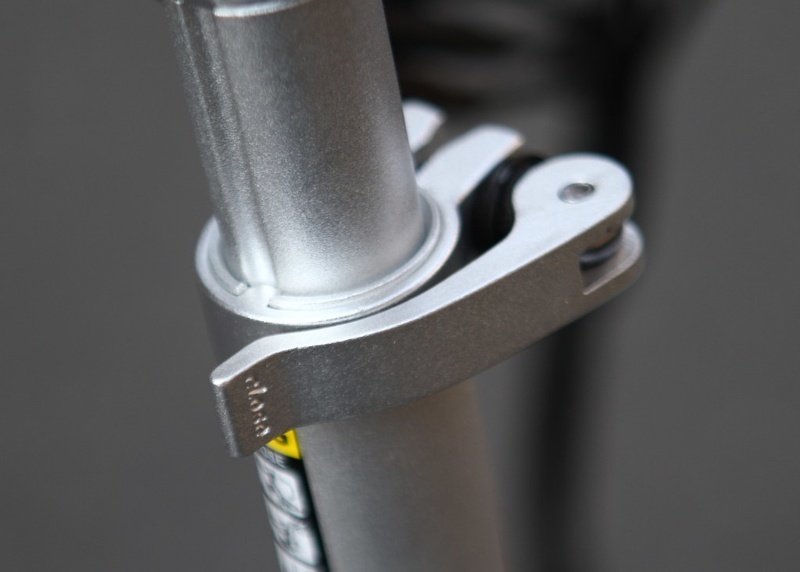 highly accurate rider activity sensor in the bottom bracket. simply foldable in less than 10 seconds.